How to make monthly venue $60,000 for your soft play area? This is a real case that one soft play area had arisen from the dead! In the first half of 2017, unable to make a profit, a soft play center in Hebei province finally closed. The venue is located in a relatively backward commercial area. The store location is also far from the passenger flow in the commercial area. Operating conditions are not ideal; when the business is ceased, operators even posted “renovation rectification” message, resulting in the members going to the new venue to redeem. On the verge of shutting down, then it realizes single month revenue $60,000. How does this miracle happen? This is the case we are going to share today: Despite poor marketing conditions, operators achieve significant profitability in just three months. It is worth learning for every soft play area. What makes a “mess” come back to life? Nothing more than “marketing strategy” powerful. This case has its referential value for operators who have the business bottleneck, or for those who want to open children playground. In this case, it is a comprehensive child soft play area, including children soft play equipment, VR simulator and arcade game machines. The first step in all marketing planning is to position market. Only when you have a clear understanding of the characteristics of your customers, you can formulate marketing activities and documents. After solving marketing position, all programs must be conducted basing on the above fundamental principles. Whether it’s an entertainment place or a commercial complex, its consumer’s scope is definitely limited. 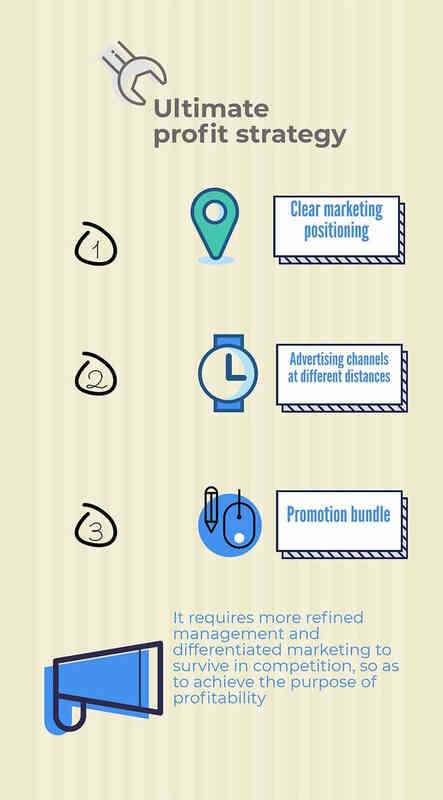 The influence of advertising activities will gradually diminish if it exceeds the farthest distance. In the end, it only increases costs in vain. Therefore, the delineation of advertising scope is paramount. 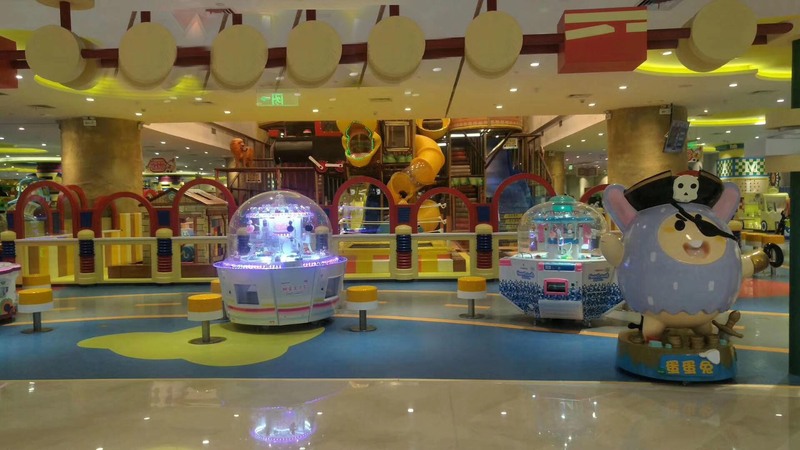 Within 5-3 km: release soft play area information in WeChat circle of friends. Within3- 1km: select key community, survey the age group of it; then analyze whether they meet your play area consumer conditions, and advertise your banner or billboard. 1 km to the shopping mall: choose crowd gathering site, let staff parade, hold pre-sale activities, display soft play image. If the location is the basic factor for affecting passenger flow; targeted and effective publicity, in the appropriate scope, play a catalytic role in enhancing passenger flow. The set principle of binding promotion is: how to create a secondary spread through the psychology of the consumers who are “benefited”. For the general public, children’s soft playground is not too high consumption. During the consumption, if the customers can get more benefits, their enthusiasm for participation will be particularly strong. As long as people took photos of leaflets or other signs of the play area, and sent to the Facebook circle of friends, marking the location, typing the Facebook content “I found a good children playground!”. The staff can then send them a lottery ticket at a high prize-winning rate. Through the promotions inside and outside the store, people are attracted to this indoor playground; add all people to the management group on the facebook. According to preliminary statistics, more than one thousand people joined the group. These group members have become the core strength of store advertising, store exposure is very effective. 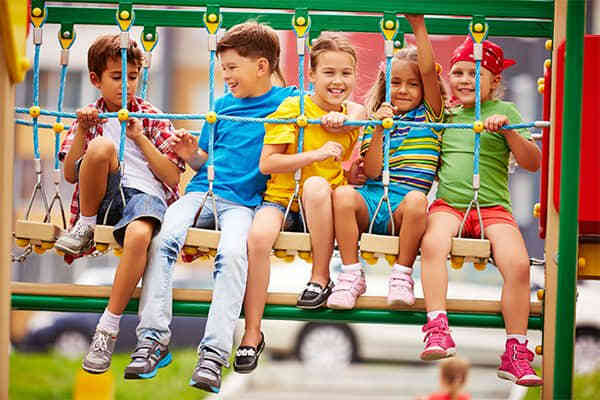 Encourage your customers to share children playground information on their facebook, if they get more “Like”, they will get preferential tickets. For example,60 “Like” for free play,10 “Like”, get 10% off discount and so on.This kind of “picking up cheap” marketing not only increases the stickiness of consumers but also enhances the interaction of consumers. Why do we say the Facebook group can achieve the role of promotional binding? First of all, it is still the psychological reason. More “Like” will have more discount or even has a big chance for free play, they are willing to take advantage of this “cheap” for second consumption. 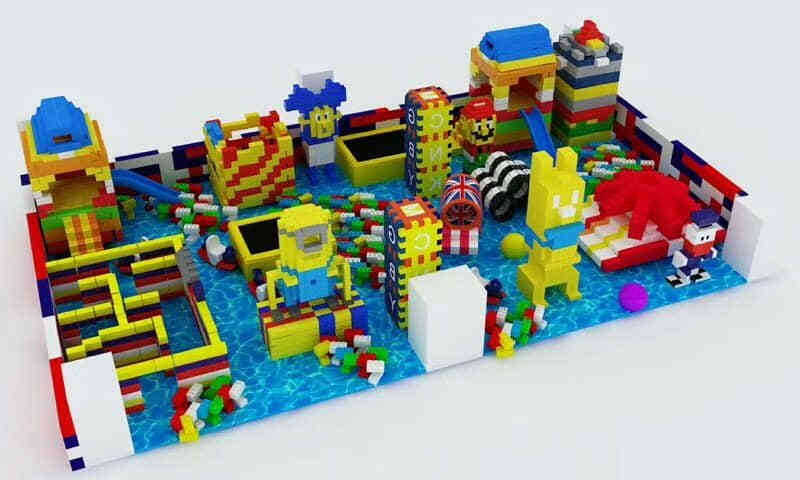 As all of these consumers live in the vicinity of the soft play area, they not only become loyal players but also bring more friends in here.Then the core players will develop dramatically, from more than a thousand into more than 3000, the resulting profit effect is very impressive. In addition, there are other promotional binding activities to further increase the customer’s stickiness, for example, sales of tickets during the opening, the first 10 customers will get 20% off discount; membership card sales, if you apply for member card on an opening day, you will get gifts. attract players to the store → preferential consumption → Happy Home → Second preference→ back to consumption. This online and offline promotion will make customers stick to the play center, forming the pillars of store revenues and promotions. How to cultivate the core players, this is a big problem for each store, how to seize their psychological is the key. Customers go to play centers are for experience. What they need is a game atmosphere, an online and offline cultural experience and more interactions between people, so they can feel the charm of the game. The interactive experience is also one of the big differences between brand stores and ordinary stores, so any entertainment brand will not underestimate this forum. This venue makes use of a wide range of activities to give customers a unique cultural atmosphere, all these activities are broadly two types: offline and online. Every half an hour during the opening hours of the business day, there are “Funny Clown” and “Funny Orangutan” coming out to play with customers. They are free to go to different game consoles and let the players complete specific tasks such as pinning a doll, and car racing, etc. As long as the player completes the task, he can receive a big gift (limited number of 1000). Organized six part-time cosplayers regularly parading in the shopping mall, sending out publicity and distribution leaflets. 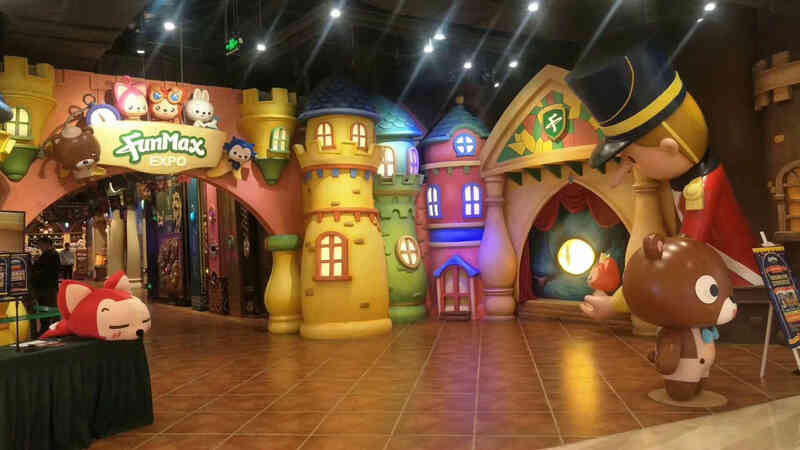 Focus on the entrance position, they will guide passenger to soft play area; if necessary, make use of experience coupon, so it can attract the guests to the store. If the customers focus on the official account and forward our activities information to your Facebook.If you can introduce one friend to consume, we will give you gift or discount on your tickets. These online and offline interactive experience fully mobilized the enthusiasm of the players, achieving the effect of customer traffic, sticky customers, secondary consumption. Through this series of interactive experiences, the negative effects of the old play center have been completely eliminated. It recreates the image of children’s entertainment brand with sunshine, fun and public benefits. 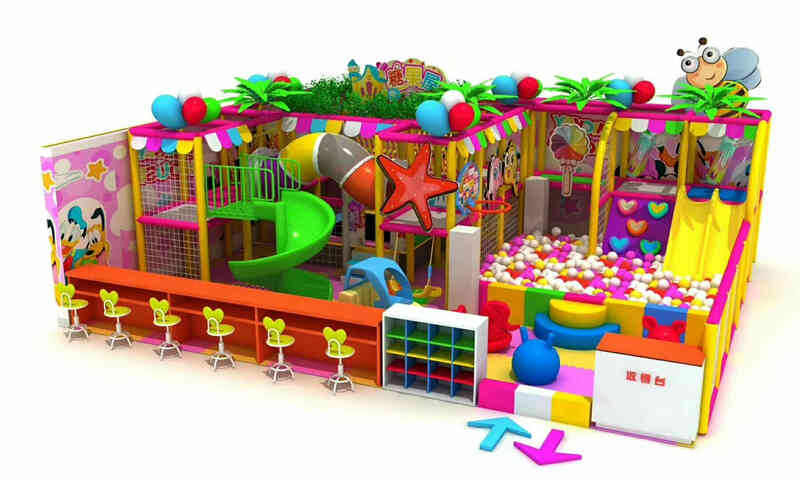 Due to in the four marketing tools, this soft play center can achieve an immediate and positive effect, changing a bad project into a new look in a short time. Indeed, it is a rare case in the industry, it can be described as a marketing master. However, when we look back and think about it, in fact, the reason is obvious. Targeting and diversity are the most crucial factors in the whole marketing. Analyze the characteristics of customers, and choose different publicity for different distances, and carry out a series of promotions and interactive experience then for the players. Each step is close to the needs of consumers and to mobilize their enthusiasm, its marketing effect is naturally successful. Each venue has its own unique marketing methods, although this marketing case is not necessarily suitable for all soft play area, the truth is universal. Meet the needs of players, seize the player’s heart, adopt a rich experience, it will always be the cornerstone of site profitability. After years of development, the indoor playground is no longer an era of the good location for good business. Rather, Wonka playground thinks it requires more refined management and differentiated marketing to survive in competition, so as to achieve the purpose of profitability. We believe as the children soft play industry develops, there will be more projects similar to the success stories of this venue. We are full of confidence, facing difficulties and will surely reach the other side of the win-win situation. This entry was posted in blog, management and tagged indoor playground.